COMCASA is commonly known as the Communication Interoperability and Security Memorandum Agreement (CISMOA) which is essentially a legal framework that facilitates transfer of encrypted communication system that enhances interoperability between the forces and military hardware of the two countries. 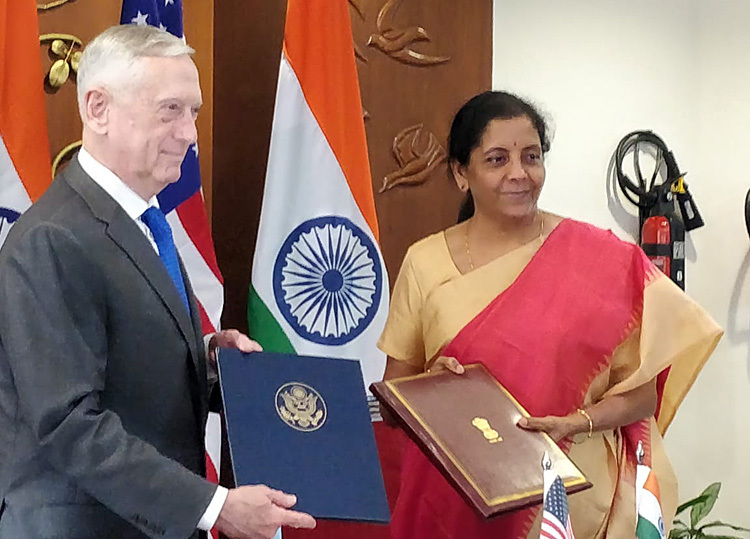 The United States and India signed the high-level COMCASA defence agreement on September 06, 2018 that will allow India to buy advanced American military hardware during the two-plus-two meeting of US Defense Secretary Jim Mattis and Secretary of State Mike Pompeo with External Affairs Minister Sushma Swaraj and Defence Minister Nirmala Sitharaman. The agreement is a historic step towards strengthening defence cooperation between the two nations. 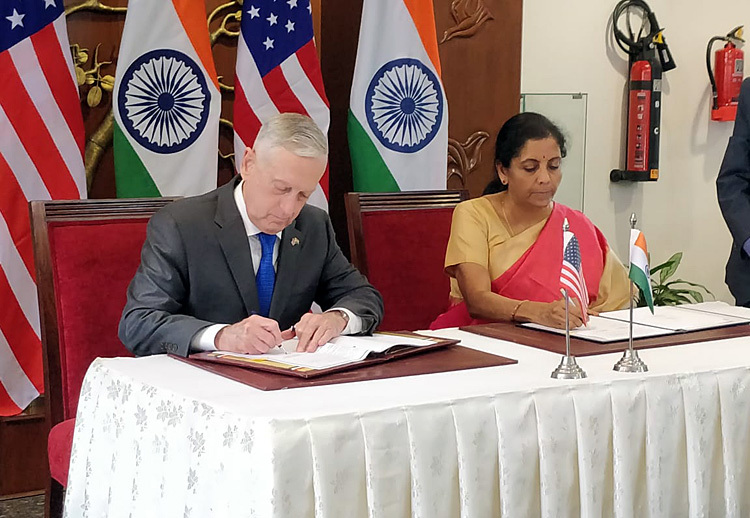 Signing of the COMCASA (Communications Compatibility and Security Agreement) by Nirmala Sitharaman and US Secretary of Defense James Mattis after the inaugural 2+2 Dialogue. The agreement is a historic step towards strengthening defence cooperation between the two nations. Since the 1990s, India and US have been moving closer to establish a frame work for defence cooperation. In January 1995, the Agreed Minute on Defense Relations between India and the US was signed. The rapidly evolving Geo-political environment resulted in both countries signing in 2005,the 'New Framework for Defense Cooperation' which was followed by the 'Disaster Relief Initiative' in 2005 and the 'Maritime Security Cooperation Framework in 2006'. The foundation of the New Framework for the US-India Defense Relationship was based on the axiom that the world's two largest democracies agree on the vital importance of political and economic freedom, democratic institutions, the rule of law, security, and opportunity around the world with defence being the key element of the broader US-India strategic partnership which also protected the free flow of commerce through land, sea and air. The key operative words in this context was 'strategic partnership and security in the broader Indian Ocean region'. This specifically implied maritime cooperation with India on a long term basis apart from other areas of cooperation. It was clear that the economic and security interests of US were linked with the developments in the region extending from the Western Pacific, East Asia into the Indian Ocean region and South Asia. However there are three foundational agreements all countries have to sign with US to be their trustworthy allies like Japan, South Korea or Australia; which are Logistics Support Agreement (LSA), also commonly known as an Acquisition and Cross-Servicing Agreement (ACSA); ) the Communications Compatibility and Security Agreement, commonly known as the Communications and Information Security Memorandum of Agreement (CISMOA) and the Basic Exchange and Cooperation Agreement for Geospatial Intelligence(BECA). 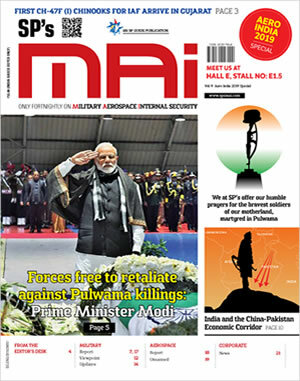 LEMOA is the Indian version of the Acquisition and Cross-Servicing Agreement (ACSA) that the US has signed with many of its North Atlantic Treaty Organisation (NATO) allies. The ACSA was enacted in 1979 to simplify exchanges of logistics support, supplies, and services between the US and other NATO forces. It has undergone many revisions to adapt to the changing geopolitical environment and allow Non -NATO and other eligible countries to sign the agreement. The US has signed this agreement with about 80 countries. In South Asia, it has signed this agreement with Afghanistan in February 2004 and with Sri Lanka in March 2007 for ten years which permits transfer and exchange of logistics supplies, support, and re-fuelling of services during joint military exercises, peacekeeping missions, and humanitarian relief operations. Pakistan had also signed it during 2002 but it lapsed in 2012. India and the US signed LEMOA in Washington DC, on August29, 2016. LEMOA is a facilitating agreement that establishes basic terms, conditions, and procedures for reciprocal provision of Logistic Support, Supplies, and Services between the armed forces of India and the US Logistic Support, Supplies, and Services include food, water, billeting, transportation, petroleum, oils, lubricants, clothing, communication services, medical services, storage services, training services, spare parts and components, repair and maintenance services, calibration services, and port services. Reciprocal logistic support would be used exclusively during authorized port visits, joint exercises, joint training, and humanitarian assistance and disaster relief efforts. Logistics support for any other cooperative efforts shall only be provided on a case-by-case basis through prior mutual consent of the Parties, consistent with their respective laws, regulations and policies. Provision of Logistic Support, Supplies, and Services from one Party to the other would be in return for either cash payment or the reciprocal provision of Logistic Support, Supplies, and Services. The Agreement does not create any obligations on either Party to carry out any joint activity. It does not provide for the establishment of any bases or basing arrangements. The Agreement will significantly enhance the operational capacity of the Indian Armed Forces, including in their response to humanitarian crises or disaster relief. COMCASA is commonly known as the Communication Interoperability and Security Memorandum Agreement (CISMOA) which is essentially a legal framework that facilitates transfer of encrypted communication system that enhances interoperability between the forces and military hardware of the two countries. This enables soldiers operating a weapon system communicate with each other and with their central command through sophisticated encrypted technology (COMSEC) thereby maintaining security. It lays down the terms and conditions for switching to US based security communication platform to be used with US defence equipments transferred to other countries. COMCASA has been in news recently as India is considering signing the agreement during the 2Plus2 meeting to be held on September 06, 2018. At present India uses a locally sourced platform for secured communications between different weapons systems including the ones acquired from US By signing COMCASA, India will have to switch to US provided platform for confidential communication which is supposedly more secure than the current system in use and better suited to US military hardware. However, there are various apprehensions from Indian side regarding the terms and conditions of the agreement. Should India Sign the Agreement? COMCASA is a military communications agreement that is critical and essential for establishing further interoperability between the Defence Forces of India and US The agreement is pending for the last 15 years and signing it will provide forward momentum in the India-US relations. It will allow access to the latest critical military technologies like high precision GPS, guidance systems for missiles, space technologies, armed UAVs etc. The communication security will also be enhanced. It will probably nullify Washington's potential use of the Countering America's Adversaries Through Sanctions Act (CAATSA) to sanction New Delhi for buying Russian military equipment. India may come under the Generalized System of Preferences (GSP) and be allowed to expand without any excise duty in the US The US has recently elevated India's status as a trading partner to equal that it has accorded largely to its Nato allies, mostly for the purposes of speeding up the sale of high-tech defence and non-defence products that are otherwise subjected to strict controls and licensing. Thus US is taking major steps to make India-US partnership to a higher level and India signing the COMCASA agreement will facilitate this in a big way. It has been reported in the media that draft agreement of COMCASA has been moving to and fro between India and US for finalisation and India will be signing the agreement during the upcoming September 6 meeting. The "2+2" meeting will occur between Indian External Affairs Minister Sushma Swaraj, Defense Minister Nirmala Sitharaman, and their US counterparts Secretary of State Mike Pompeo and Secretary of Defense James Mattis.